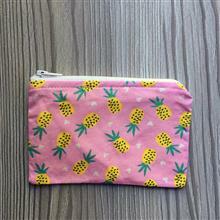 Keep your coins, cards or tavel card safe with no worries with this pineapple coin purse. This handy zip purse measures 14x10cm and is lined in bright yellow. This item is handmade and ready to post.